M ilk is stuck in a time warp in America. We might be game for goat's milk Brie or Key lime pie-flavored yogurt, but milk? Don't mess with milk. Americans grow up drinking milk. Milk and cookies are our first comfort food. Milk is what we rush to the store for during storms, even if we don't understand why. 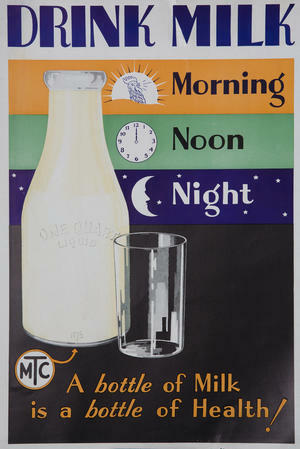 A tall, frosty glass of milk is pure drinkable Americana, and that’s just how we like it. "People who love drinking milk, the coldness is what they adore about it," says Anne Mendelson, author of the book Milk: The Surprising Story of Milk Through the Ages. This idiosyncrasy is unique to North America (Canada, which buys its milk in bags, included). Not only are most other countries not militant about the coldness of their milk, they often don't even buy it from a refrigerator case. In most of Europe and other nations in warmer climates, a good percentage of the milk sold is kept in the dry goods section of the grocery store at room temperature, prevented from spoiling thanks to a method of pasteurization called ultra-high-temperature or ultra-heat-treated pasteurization (UHT). Despite UHT milk’s success elsewhere, Americans turned their nose up at it when they got their first taste of it in 1993. 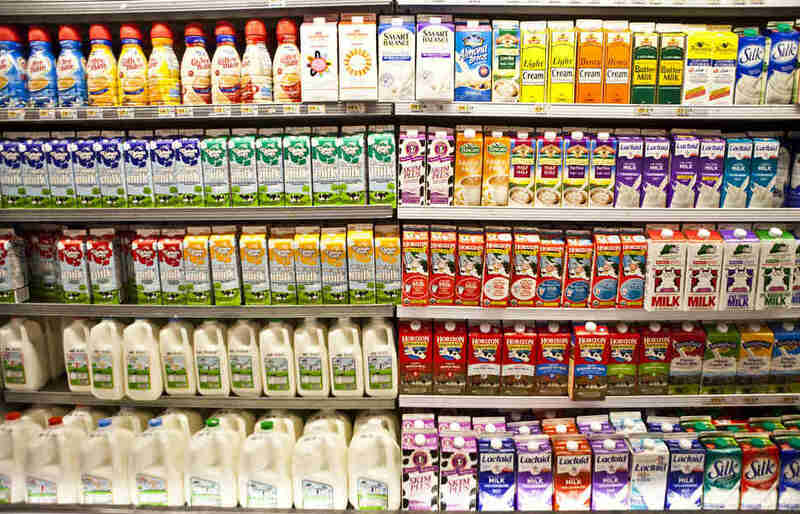 For stateside shoppers, milk belongs in the refrigerator case; anything else is just unnatural. But how natural is the milk we drink anyway? Though we instinctively think of milk as simple, wholesome food, the milk in the supermarket is undeniably a manmade creation. Alan Levinovitz, an author whose next book argues that "nature worship" is both incoherent and mistaken, says that "in looking at people’s desire for things in their natural form, there’s a lot of myopic understandings of what’s natural." Milk is no exception. "The milk in the United States is so far from anything having to do with a cow," says Rachel Laudan, a food historian who grew up on a dairy farm. "It’s all been taken apart and put back together again." A typical cold glass of milk has been separated, fortified, homogenized, pasteurized, packaged, and refrigerated before it's even distributed to grocery stores. That end product is hardly "natural" and yet, for the average American consumer, outwardly deviating from that might as well be a sacrilege. When Organic Valley first introduced its cream-top "Grassmilk" product in 2013, during the throes of the modern organic movement when kale was the newly prominent superfood, customers loved that the milk came from grass-fed cows, but they weren’t so fond of the strange (to them), cream-on-top texture. "Grass-fed" may seem appealingly natural but, non-homogenized milk -- where fat molecules separate -- repulsed many Americans, which is why the majority of milk sold here is homogenized. F rom the domestication of dairy animals to the invention of refrigeration, "the whole history of milk is a history of unnatural innovation," says Levinovitz. But it was pasteurization, an artificial intervention itself, that saved countless lives and became the assumed standard of liquid bacterial smiting. The French scientist Louis Pasteur, after whom the treatment is named, never actually worked with milk in his research, and he also wasn’t the first to heat liquid to avoid spoiling. Similar efforts had already been made with soy sauce in Japan in the 16th-century and wine even earlier in 11th-century China. But, through experimenting with beer, Pasteur did discover that bacteria was what made booze go bad, and that if you heated beer to high enough temperatures, the bacteria could be eradicated. This was in the 1860s, during a time when tainted milk was a significant health concern. Drinking a bad glass could cause scarlet fever, diphtheria, tuberculosis, and many other serious, if not lethal, conditions. In 1886, a German agricultural chemist named Franz von Soxhlet thought we ought to try pasteurizing milk, which had a tremendous public health impact, says dairy scientist Phillip Tong, Ph.D. Before then, "25% of all foodborne outbreaks in this country were from dairy products," Dr. Tong says. "After the widespread use of pasteurization, it [was] less than 1%." As it became safer to drink, doctors and health gurus in the early 20th century began to tell people that milk -- with its mixture of protein, sugars, and nutrients -- was in fact nature's perfect health food, even though all-natural, unpasteurized milk could definitely kill you. "The medical profession began hammering away at the idea of fresh, pure milk as a godly thing to put into your children," says Mendelson. The drink became not just advisable but absolutely essential, especially for growing boys and girls -- a maxim that still drives milk sales, even though parents these days are also often the demographic most fearful about what’s in their milk. Milk became the original liquid meal. "There were fresh milk diets, people who swore they’ve never been healthier than when they ate nothing but milk," says Mendelson. By the time we retired the milkman in favor of "gable top" paper cartons from the grocery store in the 1950s, milk was deeply embedded in the American family’s regular grocery routine. Improvements to pasteurization hastened the US milk boom post-milkman. In the 1940s, batch pasteurization was phased out in favor of a cheaper, more efficient treatment called high temperature short time method, or HTST, which "made it possible to have continuous flow systems running 24 hours a day," says Mendelson. In the 1960s, the process evolved again, with a twist. The packaging company Tetra Pak developed a new technique, UHT, which eliminated the need for refrigeration altogether. This further slashed costs, both for distributors and consumers, as the shelf life of the product was extended almost indefinitely. Europe and other countries latched onto this new concept of unspoilable milk. Italian company Parmalat set its sights on disrupting the US milk market in the early '90s with its UHT product. Sparing no expense with its marketing efforts, Parmalat put on a free performance by Italian opera icon Luciano Pavarotti in New York's Central Park. Despite everything, the milk was a complete bust. W hy did UHT fail to sell here? The taste, for starters. UHT milk has a slightly cooked flavor -- Dr. Tong describes it as having "notes of sulphur" -- that can be off-putting for the discerning milk drinker. The allure of shelf-stable milk wasn't enticing to Americans because it wasn't solving any of their immediate problems. While in some countries, standard pasteurized milk may only last three or four days, in the US it can last as long as 14; ultra pasteurized milk can hang on for 30 to 90 days, according to Dr. Tong. And Americans, with our much larger refrigerators than the rest of the world, just aren’t that pressed for fridge space. The most significant challenge for UHT milk, however, was the apparently indelible American belief that milk is something you buy from the refrigerator case. Only this past September has the National Dairy Council (NDC) officially acknowledged UHT as an alternative pasteurization technique. Otherwise, the NDC and its regional offshoots have not-so-subtly fed the chilly tenet through marketing language. The Wisconsin Dairy Council has campaigned to "Strive for 35," meaning 35 degrees, advocating both the superiority of cold milk and proper food handling. Milk is always "ice-cold" because "cold milk tastes best." "America refrigerates everything," quips Rachel Laudan, author of Cuisine and Empire: Cooking in World History. "Jam, honey, bread. Things that the rest of the world wouldn’t think of refrigerating." Parmalat was utterly blindsided by how strongly Americans felt about buying their milk cold. Milk that didn’t spoil at room temperature was seen as highly suspicious, almost certainly the product of nefarious scientific tinkering, much like those newfangled biotech tomatoes. Parmalat found that even though UHT milk didn’t require additives -- just higher heat and sterile filling vessels -- shoppers were convinced that something must have been put into to their milk to get it to be shelf-stable. The facts that UHT milk is just as safe for you to drink as HTST milk, and not dangerously modified either, weren’t persuasive. Despite Parmalat's extensive follow-up marketing efforts to dispel rumors and misgivings, it was a new technology Americans just didn’t want. We’re far less trusting of innovation in our food than things like computers and cars, and that’s especially true for milk. Carrie Mess, a Wisconsin dairy farmer, says the industry may want to innovate to drive sales, but consumers can be leery of new technologies. "They just want [it] to look like every other bottle they’ve ever bought." If Americans were to drastically shift their expectations about milk and switch to UHT, it could potentially translate to significant reductions in energy expenditure. Distributors and grocery stores would need far less refrigerator space. Mega-chains like Starbucks would be able to reduce their carbon footprint. 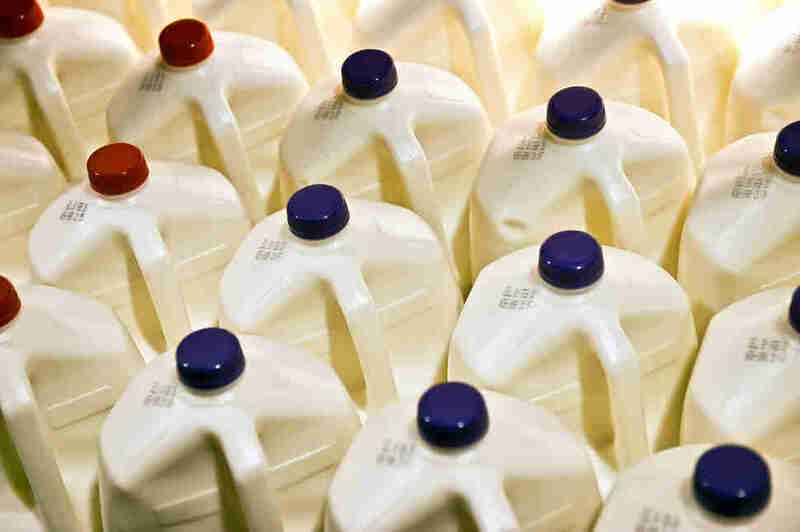 Consumers could buy their precious milk in bulk and drive less to the grocery store. 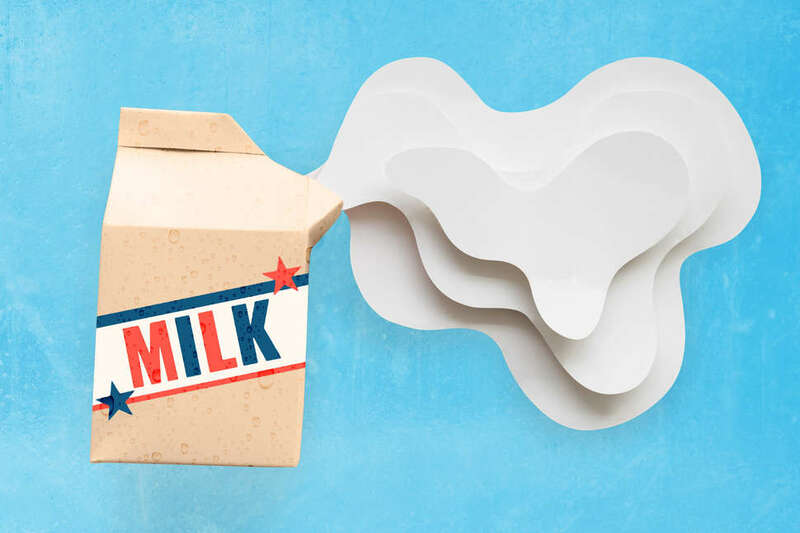 Switching to UHT milk could potentially benefit the environment greatly -- it’s important to stress that what’s used to make the boxes and the boxes’ actual recyclability make a difference. Turns out, we've started incrementally buying in. Those portable milks, which became popular in the late aughts and are now ubiquitous in kids’ lunchboxes, are UHT. Fairlife, a specialty milk with a higher protein content that was launched in 2014, comes in both ultra-pasteurized and UHT formats. Anders Porter, vice president of communications for Fairlife, says that for their customers, convenience is as important a factor as nutrition, taste, and origin -- they like having the option to "throw [the milk] in backpacks or purses on-the-go." Parmalat is still sold in the US, too. 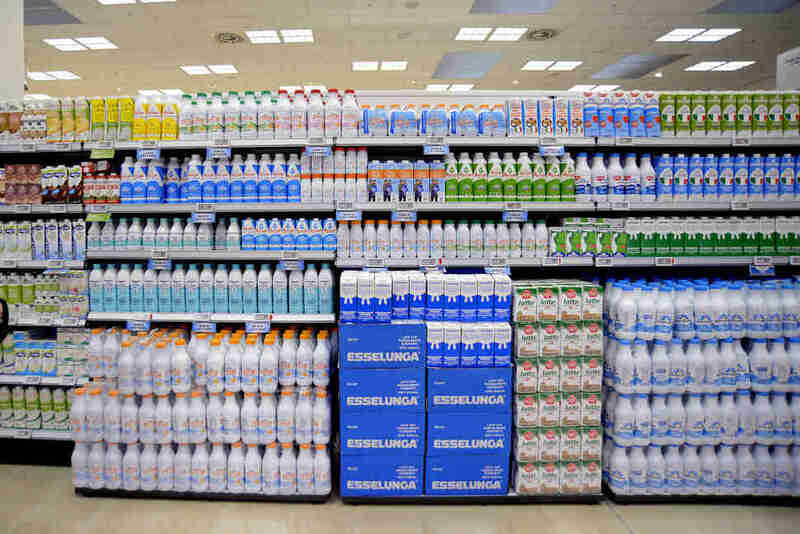 Eric Snowdeal, a brand manager for Organic Valley, believes customers these days are more accepting of shelf-stable milk in part thanks to the many alternatives like soy and almond milk sold in the dry aisle next to the cartons of Fairlife and Parmalat. So, oddly enough, milks that aren’t actually milk may have helped normalize non-refrigerated dairy milk. S till, there are plenty who refuse to buy UHT. Some consumers rebuff any milk with a longer shelf life than two weeks, and some reject pasteurized milk altogether. These fears bear a striking resemblance to those expressed by the very first opponents of widespread pasteurization. "You see the same kinds of miscommunications now as when it was first introduced," says Dr. Tong. "'Pasteurization kills all of milk’s nutrients,' 'it ruins the milk,' 'it’s just a way for dairy processors to make money.' None of these objections are true," says Dr. Tong, but these arguments pop up throughout the history of modern milk, most recently from raw milk enthusiasts who prefer to drink their milk entirely unpasteurized, despite health risks and, in some states, its illegality. Since they're getting their raw milk from small farms and cows that appear healthy, raw milk advocates assume there isn't the same health risk as milk that's from a "factory farm." But that’s not a safe bet, says Mess, who has also blogged under the pseudonym Dairy Carrie for the past six years. "A cow can be shedding listeria for up to a week before you’d see any symptoms." She also suspects the tasty "secret" to raw milk’s appeal might actually be its extra fat content, as milk straight from the farm has more fat in it even than store-bought whole milk. Though Mess often hears from readers who worry about what’s in their milk, their fears don’t seem to extend to the rest of the dairy aisle. Unlike milk, whose per capita consumption has dropped from a glass per day in 1970 to about half that in 2013, cheese and yogurt sales are booming. Luckily for the US dairy industry, milk sales aren’t solely dependent on American milk drinkers. For years now, "America has been trying to export [its] attitudes about milk around the globe," says Mendelson. "They’ve had great success in places like China, [where] people started gobbling the stuff down in spite of many millennia of people thinking milk was horrible [for you]." Meanwhile, back in the US, a new trend has some very small dairy producers not only rejecting a progressive process like UHT, but also the continuous flow pasteurization systems that were once essential to the US milk boom. They have reverted to old-fashioned small-batch pasteurization, where the milk is pasteurized at a much lower temperature and held in vats over a period of time, for richer-tasting milk that's meant to be distributed hyper-locally. A niche market for sure, but one that's more than happy to revel in the ouroboros of America's appetite for an unadulterated glass of cold milk. Jenny Splitter is a writer based in Washington, DC who has contributed to Slate, Salon, and New York Magazine's Science of Us. She tweets about food, science and health @jennysplitter.